Illegal robocalls and spoofing have cost Americans billions of dollars in fraudulent claims. According to a study by Truecaller, Americans lost $9.5 billion in 2017 to robocall and spoofing scams, and it’s only expected to increase. 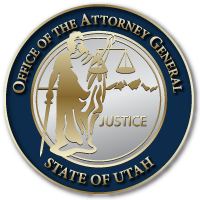 Utah Attorney General Sean D. Reyes joined 34 other state AGs urging the Federal Communications Commission (FCC) to adopt rules that would require service providers to block illegally spoofed calls or help identify a potential scam for consumers. In the letter, the state AGs reaffirmed their commitment to providing public education, responding to consumer complaints, and taking appropriate action when needed – but it’s not enough. The AGs strongly recommended the FCC explore ways to identify technology that could combat fraudulent calls and utilize every tool available to help protect Americans. You can read the letter from the AGs here: A Letter to the FCC About Robocalls. Deputy Attorney General David Sonnenreich had the opportunity to visit with Lori Prichard of KSL-TV on behalf of the Office of the Utah Attorney General to discuss robocalls, steps federal and state leaders are taking, and what you can do in the meantime to protect yourself. You can find more information on the FCC’s push to combat robocalls and spoofing and tips to protect yourself here. This entry was posted in Recent Posts and tagged FCC, Robocalls, Sean D. Reyes, Spoofing, TrueCaller, Utah Attorney General on November 20, 2018 .